Testimonials | Tile Bend Oregon | Brian Stephens Tile, Inc.
years, and we are very pleased and satisfied with his completed work. on time, and called if he was going to be late. We appreciated that so much. Finally, we found Brian to be very professional, friendly and efficient. Working with Brian has been a very satisfying experience, and we would recommend him highly for any project. We plan to use him again in the future. 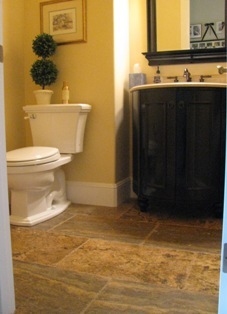 We were lucky to get Brian to do our tile in our master bathroom. He did an outstanding job. The tiles look beautiful and his attention to detail was amazing. We couldn’t be happier with the results! I will recommend Brian to anyone who needs tiling done, he is the best! Thank you! 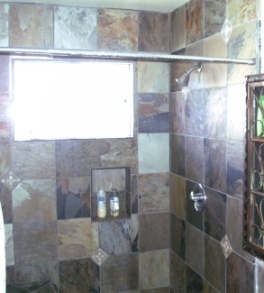 shower in the house but it’s the masterpiece of our 2-story remodel.